What Payment Methods are available at Floristería JM? What Credit Cards do you accept at Floristería JM for Online Payment? Is it possible to deliver my order in a specific hour or have a faster Delivery? May I Pick-up my Order instead? What is the difference between buying as a Guest and buying as a Registered User? 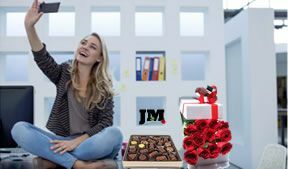 Is it safe to buy online at Floristería JM? Can I call you to pay with my Credit Card number? Can I Pay in Dollars or Euros at Floristería JM? What other websites in Colombia use PAYU? 1- Online Payment using PAYU (International Credit Cards and Colombian Debit Cards). Payment with Colombian Pesos or the currency used by your Bank. 2- Online Payment using 2CheckOut (2CO). Accepts Paypal and other International Credit Cards: VISA, MASTERCARD, DINERS, AMEX, Discovery y JCB. They payment is charged in Colombian Pesos or it may be converted to your preferred currency. 3- Payment in Cash; payments using our local Savings accounts; Transfering your Money Bank to Bank; or an international money order through Western Union. Do you offer Same Day Delivery ? 1- You selected Today's Date for Delivery and have placed your Order and completed Payment before 1:00 PM Colombian Time. 2- The Product selected is NOT a Fruit Arrangement or Gift Basket with food. (These products require at least one business day to be prepared accordingly). 3- Not on Sundays or Holidays. Same Day Delivery is only offered Monday- Saturday. Visa, MasterCard, American Express, Diners, Discovery and JBC. If you have a bank account in Colombia, we also accept Debit Cards through PAYU. Discovery and JCB are accepted through 2Checkout or you can use your PayPal account too. If you live in Colombia you may deposit directly at our Local Bank Accounts in Colombia. 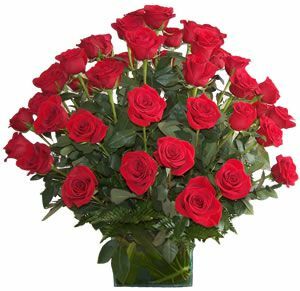 After your Bank Deposit is done, please e-mail us with the Bank's Receipt at floristeríajmbogota@gmail.com. All our Bank Accounts are under ownership of Luis Gabriel Garzon Torres. Remember to add your Bank Deposit Fees (if applicable) to your final fee during the Bank Deposit. If you live in any other Country, we also accept Money Orders through Western Union. Please e-mail us at floristeriajmbogota@gmail.com with the MTCN number, the name of the person sending the money and the City of origin. Pick-Up (+ 3 business hours): If you choose to pick-up your order at Floristería JM , we will require 3 business hours to prepare your order after Payment has been placed. An EXTRA FEE is charged for ORDERS less than COP $40.800 (USD 13,90): COP $14.900 additional to the fees above. (USD 5,00). Remember that if the final price of your order is less than $40.800, we will add an EXTRA FEE of COP 14,900 to your order. If you place your order and payment with one or more days in advance of your Delivery Date, we usually deliver these orders in the Morning dispatch (7AM-12M) or in the Afternoon Dispatch (12M-8PM), depending on what the customer has required beforehand in the field CLIENT NOTES. We DO NOT offer deliveries on shorter time frames or sharp hours, because our Delivery Staff has several orders to be delivered in the day. If you have chosen a SAME DAY DELIVERY, remember that your order must be placed and payed by 1:00 PM Colombian Time. Same Day Deliveries are usually delivered in the Afternoon Dispatch (12M- 8PM). We DO NOT offer deliveries on shorter time frames or sharp hours, because our Delivery Staff has several orders to be delivered in the day. If you have chosen a Non-preferential Delivery Hour, we will deliver your order anytime between 7:00 AM and 7:00 PM. We DO NOT offer these Delivery Services during Special Occasions like MOTHER'S DAY, VALENTINE'S DAY OR ANY OTHER HIGH-SEASON CELEBRATION. May I Pick-up my order instead ? 2. We require at least 3 BUSINESS HOURS to prepare and complete your order. Remember that your payment must be placed before we start preparing your order. 3. Keep in mind our schedule when planning on Picking-up your order. Monday- Friday: 8:00 AM- 5:00PM. Saturdays 8:00 AM-11:00 AM. We're closed on Sundays and Holidays. Pick-up address: Calle 145 A No 12-35 C1, Bogotá, Colombia, Barrio Cedritos. 4. We do not start preparing orders that have not been payed beforehand. Remember: PAYMENT MUST BE PLACED BEFORE. 1. You can track your order. We will update on the status of your order. 2. Buy in a few steps! When buying again in the future, you just have to log-in and your Personal Information will already be ready to complete your order. This Personal Information will ALWAYS remain confidential. 3. You can complete an order with just One-click. When buying as a Guest you don't need a password, but won't get any of the benefits mentioned above. No matter what Payment Method you choose, always place your Order at our website. We don't take orders by phone, chat or any other medium. Browse through our website, choose the perfect products for you and then decide on a Delivery Date. Don't forget to have the Delivery Address with you to determine the Delivery AREA in Bogota. The Website will give you an exact fee depending on shipping costs on a specific area in Bogota. When deciding on a Product, click on “BUY NOW” and then click on “Proceed to Checkout”; Make sure you check the number of items is correct and then click again on "Proceed to Checkout". Register at our Website or Buy as a Guest. (Click on What's the difference between Registered User and Guest?). Step 1: Register: Use your e-mail and password to log in or buy as a Guest. Step 2: Delivery Information: EInclude here all the required fields that include ADDRESS OF RECIPIENT, NAME OF RECIPIENT, PHONE NUMBER, PERSONAL MESSAGE. We will require a Phone Number of the Recipient in case our Delivery Staff needs to locate an address or confirm a recipient. Step 3: Payment Method: Choose your Payment Method: Online Payment (Credit Cards), Bank Transference, Bank Deposit or Money Order. + If you have chosen Online Payment you will be redirected to PAYU or 2Checkout where you will be required to enter your Credit Card information. We WILL NOT see this personal information. + If you have chosen Cash Payment (Bank Deposit at any of our Bank Accounts or Money Order with Western Union) the Order will be placed but we will still require a PROOF OF PAYMENT (Bank Deposit Receipt) to be e-mailed before we start preparing your order. Remember: Whether you choose Online Payment or not, complete your order to have an online register of your Order. It is always safe to buy online provided you use your own personal computer with a safe internet connection. Avoid using Public Computers (Cafés, Libraries, etc.) or Public Networks that can be easily targeted by a third party. If you pay using PAYU or 2CO, your personal and financial information will be encrypted. PAYU and 2CO provides us with the best service in cyber protection against criminal activity. Additionaly, if you choose 2CO, you will be able to pay using PAYPAL, the world's most famous online payments system. Can I call you to pay with my own Credit Card? No. We DO NOT accept any payments using your credit cards by phone. We want to protect you and ourselves from any fraudulent attempt at stealing your own personal information. Your financial information is private. Only trust Online Payments services like PAYU, 2CO or PAYPAL when using your credit card. If your credit card or Bank uses Dollars or Euros as their standard currency, it is possible. When you pay using your credit card, the fee at our website is normally set in Colombian Pesos. Once you receive your Statement, you will be charged in the currency your bank uses. They usually convert the original fee (COP) to Dollars or Euros using the Currency Exchange Rate of the payment date. The fees at Floristeria JM when converting from COP to USD or Euros are only a reference value. They are not a constantly refreshed Currency Exchange Rate. If you use 2CO the currency rate by definition will be US Dollars. Many high-rated businesses use PAYU as their preferred choice in online payments services. Among them is EXITO, CARULLA, SEMANA PUBLISHING, TIGO, among others. Remember that we also offer 2CO which provides PAYPAL payment. Hacen entregas los domingos? 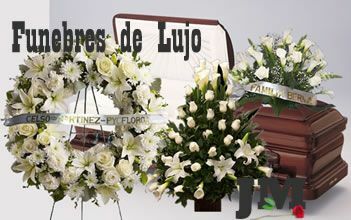 ............RPTA FLORISTERIA JM: Sí entregamos los domingos, siempre y cuando se haga el pedido y el pago por lo menos un día hábil antes. Buen día. Si compro dos items para la misma dirección ¿debo pagar el valor del domicilio por cada item?....................RPTA: Floristería JM: Si los productos comprados van para la misma dirección, con fecha de entrega del mismo día, solo debe pagar UNA VEZ el domicilio. buenos días, ustedes entregan en Ibagué? Cuando se pone la orden con varios días de anticipación no es necesario indicar que se desea que se entregue en la mañana. Normalmente entregamos en la mañana. Sin embargo, si quiere escribirlo, favor hacerlo en el cuarto paso, NOTAS DEL CLIENTE, cuando esté generando la orden de pedido. Mauricio, lo mas aconsejable es poner dos órdenes. Este le da la opción no solo de diferentes direcciones sino de diferentes mensajes, diferentes ocasiones, diferente control de envío de cada pedido, etc. Cristian, únicamente hacemos entregas en Bogotá. hacen envios fuera de bogota?? si hoy es viernes, 24 de feb., y desea que se entreguen el lunes 27 de Feb., debe elegir Envío Normal, o bien Envío Normal al Sur de Bogotá, si la entrega es al sur. Hola, voy a comprar unas rosas el dia de hoy, pero necesito que las entreguen el lunes 27! Que tipo de envio selecciono? Si selecciono el normal, el lunes llegarán?? Si tiene alguna duda con relación a nuestro sitio de Internet y desea compartirla por favor escríbala abajo. La responderemos en máximo 12 horas.